Given the complex maze that's often required to get medical claims paid by third-party payers, it's remarkable that these practices keep their denial rate this low. But it's important to do so. Otherwise, you risk delaying payment for your practice by weeks or even months, and that impacts your bottom line. While navigating the world of insurance claim forms, ICD-10 codes and payer-specific requirements can be tedious, it can nevertheless be done. Reducing the number of insurance claim denials received at your practice can be achieved if you follow these helpful tips that will keep your revenue stream flowing. The best way to reduce denials is by coding the diagnosis codes to the highest level of specificity. Clinicians who must select ICD-9-CM diagnosis codes should use codes that provide the highest degree of accuracy and completeness (i.e., the greatest specificity). That means providing an ICD-9-CM code up to the fifth digit. The Centers for Medicare and Medicaid Services (CMS) require all Medicare providers to use ICD-9-CM diagnosis codes with the highest specificity per the Health Insurance Portability and Accountability Act (HIPAA), like most private payers. As a general rule, assign 4-digit codes if there is no fifth-digit subclassification for a particular category and as a corollary assign the fifth-digit subclassification code for those categories where it exists. Before you schedule a patient or provide service, the front office has an obligation to verify insurance coverage and benefits eligibility so that after the claim is submitted to the payer(s), it does not get denied for such reasons. In certain cases, it may be mandatory to obtain referral or authorization number as these claims mey get denied without a valid one. Authorizations normally are active over a specific date range and may expire if not used during that time. Some authorizations cover a period of time and/or a specified number of treatments or visits. 3) it must be filed by the provider mentioned in the referral or authorization. Every payer has different requirements for when claims must be filed. If you miss a deadline, the claim will usually be denied. Don't risk having claims denied because of a simple oversight or office backlog. Develop processes and cheatsheets to ensure every payer's deadlines are met. Use the patient schedule as the starting point to ensure that all claims have been filed and are not just lost. Establish a process that ensures that all claims submitted (even if electronically) have indeed been received by the payer. Yes, we have seen several instances where even electronic claims fall through the cracks and never reach the payer even though the clearinghouse may show a successful transmission to the payer. Medical billing rules and regulations are constantly changing, requiring physicians and administrators to spend time and money on continuing education, software, or staff training to stay current, having a direct effect on the cash flow and profits of a practice.There are several codes that are discontinued each year, there are several other codes which are introduced each year to reflect commonly performed procedures. Your medical billing company needs to stay on top with these rules so that you do not have to. You must keep track of the claim throughout the payment process. Otherwise, you won't be able to identify the problem and find a solution that will get the claim paid. And finding that solution can be costly. A study by a University of California doctor found that practices spend 8-14 percent of overall revenue on clerical follow-up of rejected claims. A more cost-effective solution to work with a medical billing company that employs proactive processes to ensure that all your claims get paid the first time. And if you do receive denials, appeal them. According to MGMA, only 35 percent of providers submitted appeals following denials. This amounts to leaving money on the table. 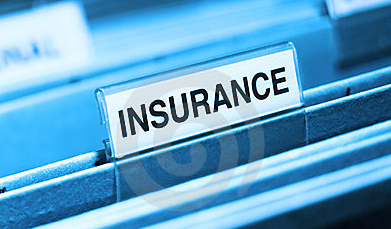 Some of these issues can be avoided by simply automating your insurance billing procedures. RevenueXL has myriad solutions for medical practices that seek to improve their coding, billing and appeal practices. Contact us today to learn more about how we can help increase your practice's revenue.